Imagine my delight when I opened my emails and found out that Liz from My Life in Projects had nominated my little blog for a Liebester Award! 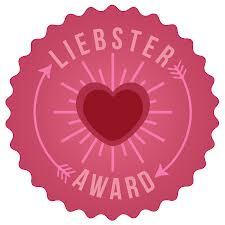 Liebster, in German, means endearing, valued, lovely, etc. This award is presented as a way to acknowledge up and coming bloggers and to help them be recognized for their outstanding accomplishments within design that is presented on their blog. award to and link them in your post. 1. What magazines, if any, do you subscribe to? Other than the weekly grocery fliers that come to my email, none. I’m not much of a magazine person. I had a sewing blog years ago but let it fall by the wayside. I started again because my sister was bugging me incessantly. 3. When you aren't blogging, what's your favorite thing to do? 4. What's your favorite room in your home? My bedroom, I get to sleep there! 5. Where is the one place you'd love to travel? 6. What blog inspires you the most? Three Ring Circus. I'm always in awe of how Tiff keeps on going through the most difficult times. 7. When you go shopping for yourself, what's the first thing you buy? 8. What's your favorite t.v. show? 9. If/when you go to Target, what area of the store do you spend the most time? 10. What is the best book you have read? 11. What is one food you could eat every day? And that is unfortunately all I've got. I have a huge blog roll but most of those have been on there for years. It may be time to expand my horizons. 1. If you could have any job, what would it be? 3. What is your favourite way to wind down? 4. Do you prefer sweet or savoury food? 5. Do you prefer to dress up or dress down? 6. Favourite place to go shopping? 7. Coffee, Tea or neither? 8. What is the best movie ever made? 10. If we had one united world, who would our leader be? 11. Have you ever caught a fish? Gosh that took a long time, especially with Emily's "help". Thanks so much to Liz for nominating me! Thanks for nominating me Jen! I feel very special :) I had already been nominated by someone else too so now I'm going to hop on to it and you should expect a post soon!